I shared in my favorite things this year, a new product my family has discovered and LOVED! 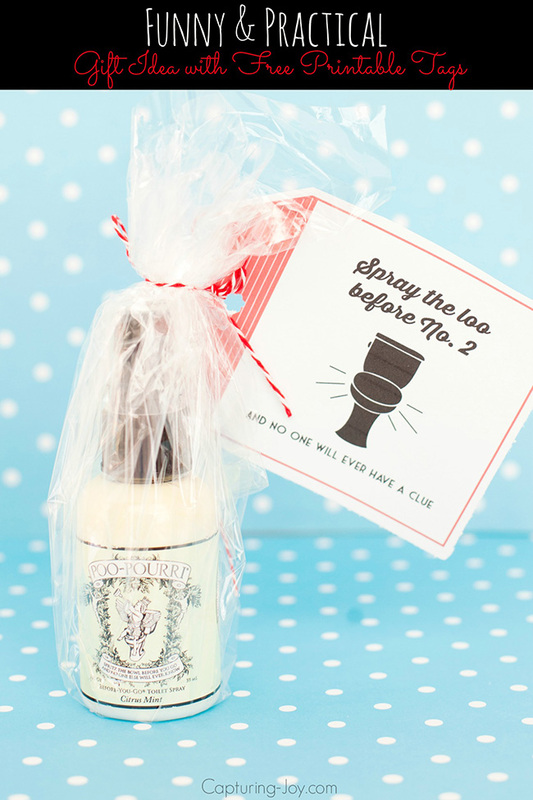 Poo-pourri spray, so I thought I’d share how you can package it up as a gift idea along with a free printable tag. The fact of the matter is, we all have bowel movements, and though it seems odd to talk about (and type about), it’s just a part of life. We’ve only been using our spray for 2 months, but I am LOVING the heavenly smell coming from the bathroom now after someone uses it. 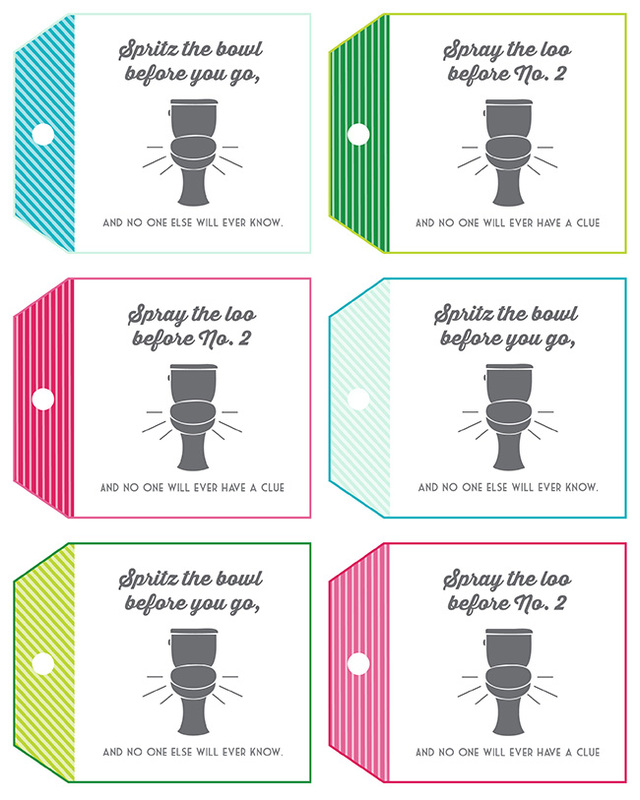 I had my friend Jessika Reed whip up this adorable printable so you can grab the product and attach the tag for an easy gift idea. I already bought a box full to give to some of my favorites for Christmas! 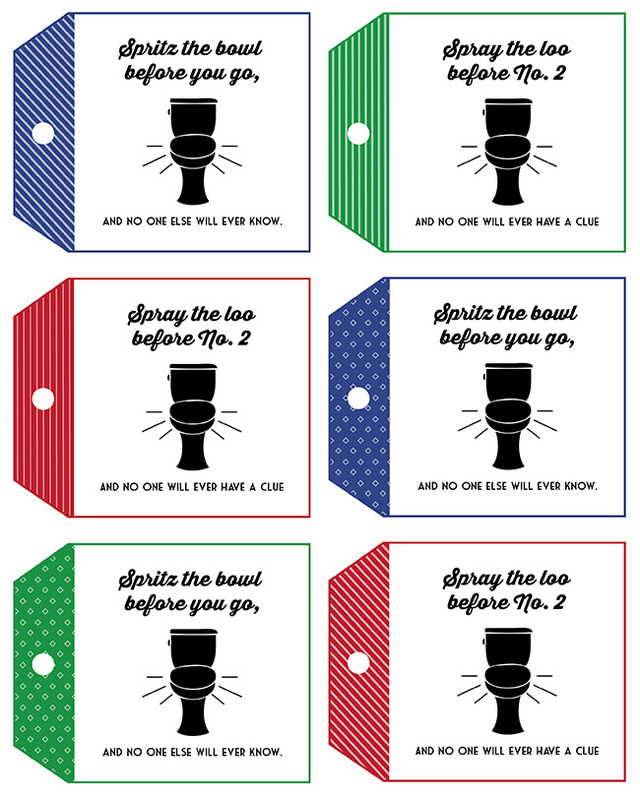 It’s one of those funny but very useful gifts–win/win! When I read in the comments that so many people either hadn’t heard of poo-pourri, or had heard of it/seen the hilarious commercial but hadn’t tried it, I had to do a little more to share the love. If you purchase on Amazon (affiliate link) then it’ll come pretty fast (I have PRIME, and that’s 2 days). However, there are a few more different “flavors” on the official website, which I ordered and it took over a week to get here. So if you are wanting a quick Christmas gift, go for the Amazon purchase, it’s their standard smell, and what we have, too. I noticed there are a few other options on Amazon, now, too such as a Rhinestone refillable spray and Gone Flushin gift set for men. *Some links contain affiliates, which I earn a small percentage if you purchase from them.